One of the highlights of the Severn Valley Railway's 2016 Diesel Gala was the visit of brand new 68025 Superb. 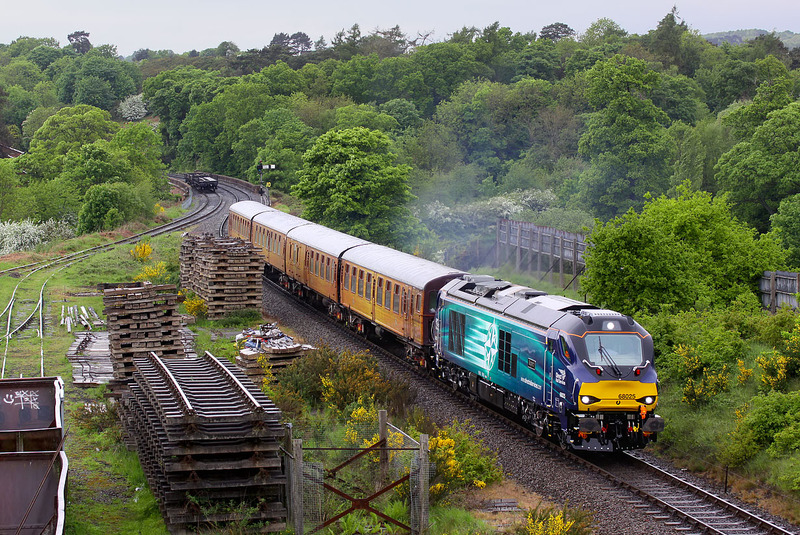 The DRS owned Vossloh locomotive is pictured departing from Bewdley in the drizzle on 19 May 2016 with the 15:56 Bewdley to Kidderminster service. The unusual coaching stock is former Southern Region 4-TC set 428, sporting 'fake wood' vinyls.